It somehow seemed highly appropriate that this should be on my front door step when I got up this morning, Typewriter Day 2014. 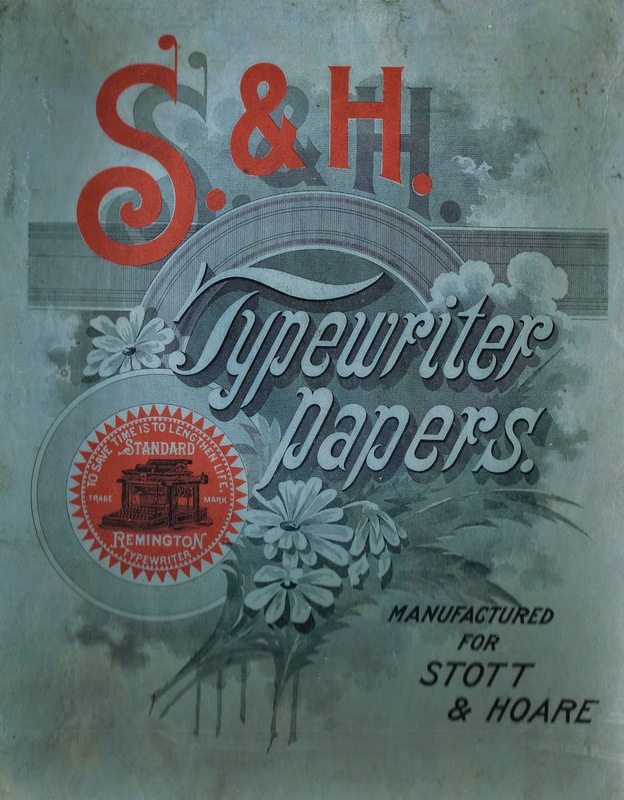 It is the cover of an 1899 box of typewriter paper (no, not 20# white, but something more unconventional) from Stott & Hoare, the original Australian agents for the Remington Typewriter Company. Stott & Hoare lost the agency to Chartres in 1910, and was later part-owned by Underwood, becoming the Australian agents for that brand as Stott & Underwood (which also sold the Corona 3 in this country). So at least I have something tenuously Australian to show for the dawn of Typewriter Day 2014. I am going to attempt to take up the gauntlet of Michael Clemens' Type Unconventional challenge at some stage today. The possibilities around here are endless. I doubt I'll do anything unconventional. I may finally post to my blog though. I have quite a bit to post, but Field Day is Saturday so it is busy radio fun for now. I forget about Typewriter Day every year. Duly noted, sir! I have something very unconventional up the sleeve.